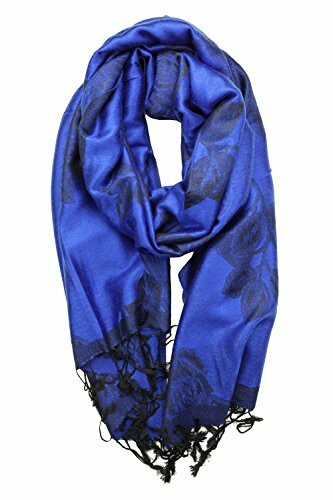 Women Everywhere Are Raving About These Scarves Fashion Is Forever With A Soft And Comfortable Scarf - High Quality Material. - Soft, Comfortable, shimmery, and lightweight. - Non Itch Material that doesn't wrinkle. - Solid Colors that work perfectly with so many different outfits. - Makes A Great Gift for a cocktail party, fancy event, birthday, roaring 1920's party or bridesmaids. It's perfect for a Gatsby Party. - Can be worn as a shrug, poncho, pashmina or pin to wear as cape. - Looks Great in Pictures! - Can Be Styled With A Pair Of Jeans For A Glamorous Everyday Look. - You Can Also Wrap This Scarf On Your Head To Stay Stylish And Warm. - Perfect to Cover Up Dresses and Gowns. - Beautiful scarf large enough to cover top areas of the body. - Pretty and an excellent cute accessory to dress up any outfit. 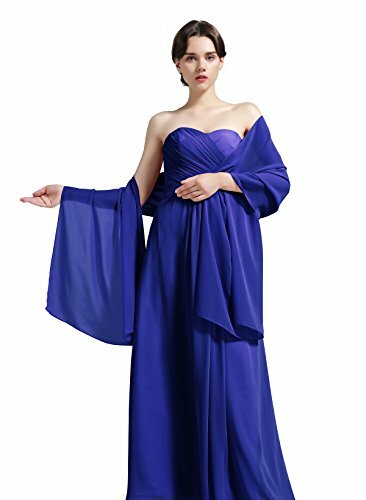 - Women's long sleeve stole that covers up your arms and shoulders to wear with a sleeveless dress. - Eye Catching Sparkly and Shiny material that has embroidery and won't shed. - Sophisticated Texture And Colors. ACT NOW - Click The "Add To Cart" Button To Take Advantage Of This Limited Time Offer! 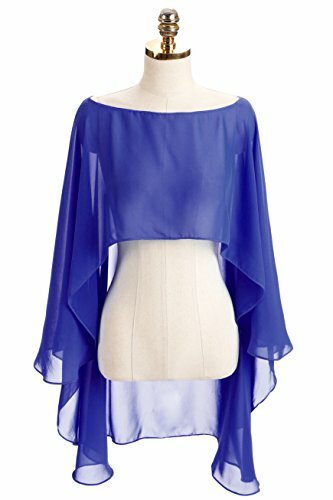 Material:Chiffon Size:Widh(27.5inch) and Length(78.7inch) This elegant shawl is made of a beautiful Chiffon designed with love and can be worn with evening gown or over any coat, dress to cover up your shoulders, or just as a fashion statement. It is lightweight, beautiful chiffon fabric make the recipient feel elegant and stylish, adding a touch of elegance to any look. This special wrap is ideal for brides, bridesmaids, weddings, bridal, mother¡¯s gift or any formal events during summer, spring and autumn. It will make a great gift for yourself and for your loved ones. If you have any question ,you can contact us! 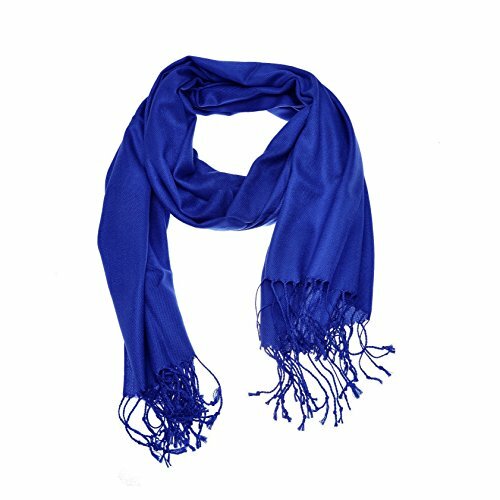 Experience the soft luxurious feel of pashmina feel fashion neck wear. Get the look and feel of high end scarves at an affordable price. Choose from our complete collection of colors, you will find colors perfect for any occasion. Great wedding bridal party favor. 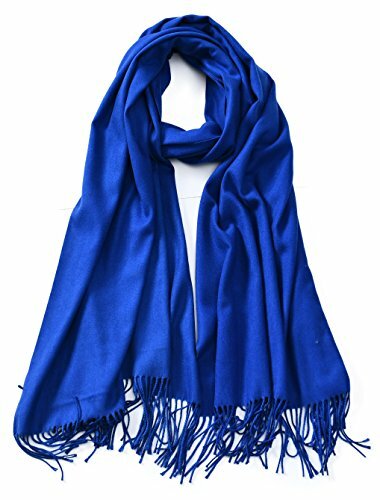 Cindy & Wendy Womens Super Soft Cashmere Feel Pashminas Wraps Large Solid Color Scarf Stole Scarf Warm Shawls for Wedding Party Our pashminas are made of super soft fabric:30% cotton, 70% Viscose. Cashmere feeling and super warm in any condition. Have a large size of 80" x 29", can be used as a shawl, wrap and cover up in many different ways. There is no tag on scarf itself but on the packing bag, so it won't damage the fibers. Perfect for wearing over almost any top or outfit. If you're looking for a high quality wrap to be wearing to an upcoming wedding, party or a blanket in cold airplane cabin to wrap yourself up in and retain your body heat while travelling, this one is perfect. Each scarf is folded very neatly to be packaged in a flat plastic zip bag. A perfect Christmas gift for your girlfriend or wife, a necessary for someone in a wheelchair, also the best present for any woman in your life and a must in winter. Sakkas Pashmina is your one-stop for latest & unique design fashion shawls. 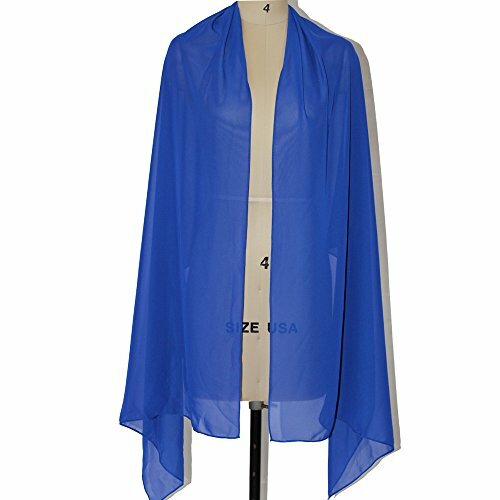 Looking for more Royal Blue Wrap similar ideas? Try to explore these searches: Rose ss20 Crystal, Maxxis Freeride Tube, and 300 System. Look at latest related video about Royal Blue Wrap. Shopwizion.com is the smartest way for online shopping: compare prices of leading online shops for best deals around the web. 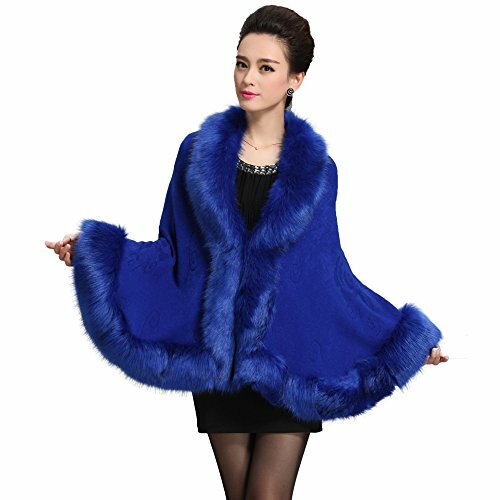 Don't miss TOP Royal Blue Wrap deals, updated daily.